Farina Focaccia & Cucina Italiana appears to have been officially forced out of its space on 18th and Dearborn streets after an eviction. Documents taped to the door indicate the eviction took place Sept. 20. 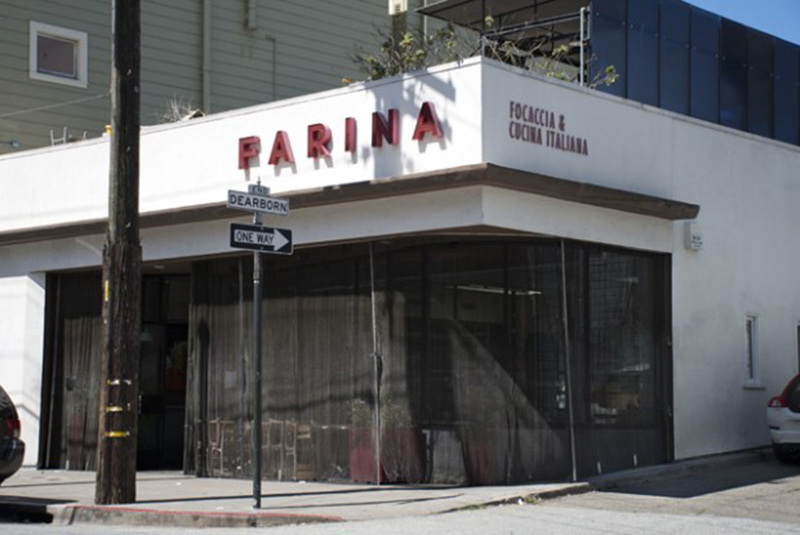 The state Department of Tax and Fee Administration had seized Farina’s liquor license in early July over nearly $275,000 in back taxes and penalties. According to court documents, the landlord filed for an eviction toward the end of July, alleging that the restaurant had not paid the roughly $11,000 rent for two months, nor water and garbage bills totaling more than $8,000. The eviction case was decided by default in the landlord’s favor, court documents indicate. A worker at the restaurant’s pizzeria by the same name on Valencia and 18th streets offered little detail, saying a manager was unavailable and directing Mission Local to the restaurant’s website, which gives no indication of the closure. hmmm, so many shade stories. Saw a notice posted on the pizzeria location this morning that said it would be closed for the night. Wasn’t sure if it was a notice referring to last night, or for tonight. Farina’s ouner been abusing the work of many wonderful people, including my husband, he owns him and many others ,doesn’t surprise me he didn’t payed rent. both restaurants should be close. That guy is a delinquent. Not surprising. Farina’s is notoriously ghetto and run by wanna be gangsters. Foods average at best anyway. Not a huge Mission loss.